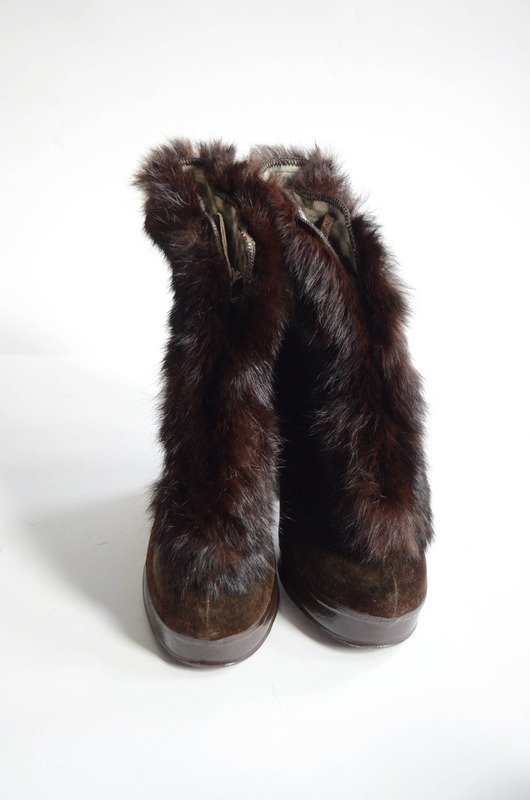 Description: Lined in soft flannel, with brown rabbit fur trim and a lace up front. 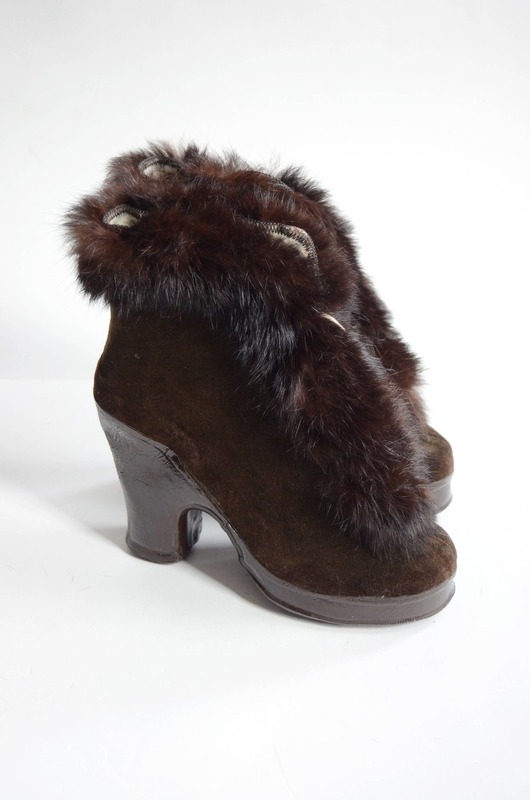 These go OVER your heels, so your shoes must fit inside of them. These are tiny, and require an even smaller shoe size to fit in them. Galoshes were meant to protect a ladies heels. 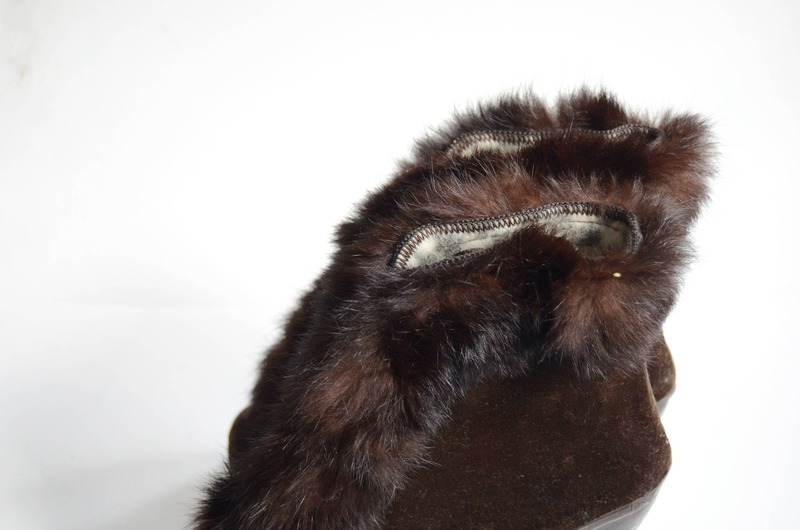 Material: Rubber, fabric, and rabbit fur. 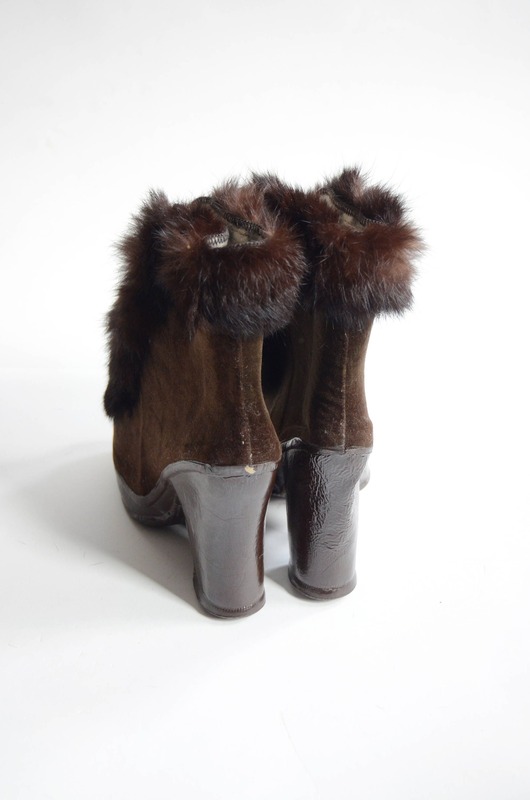 Condition: Great shape, seems to have minimal wear, with just a bit of breakage from the rabbit fur, and a little bit of glue residue on the back of one of the galoshes.